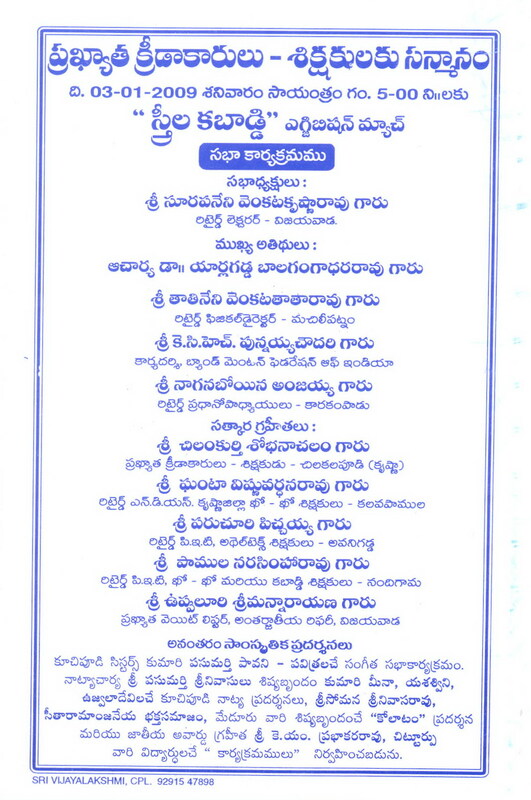 In these ‘Gym’ pages, Information on History is given and Photo Albums of Sri Kamineni Gym actvities are shown. 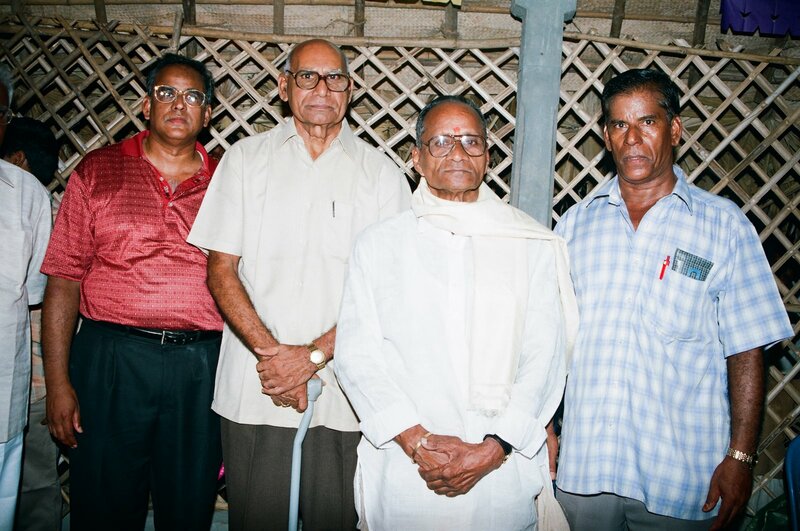 Dr. Surapaneni Rama Krishna Rao (Canada) and his elder brother Sri Surapaneni Lakshmi Das (British Virgin Islands, West Indies) established a Gymnasium in honour of Weight Lifting Olympian and Arjuna Awardee Sri Kamineni Eswara Rao (Bhatlapenumarru) in Kuchipudi Centre on 26-06-2004. 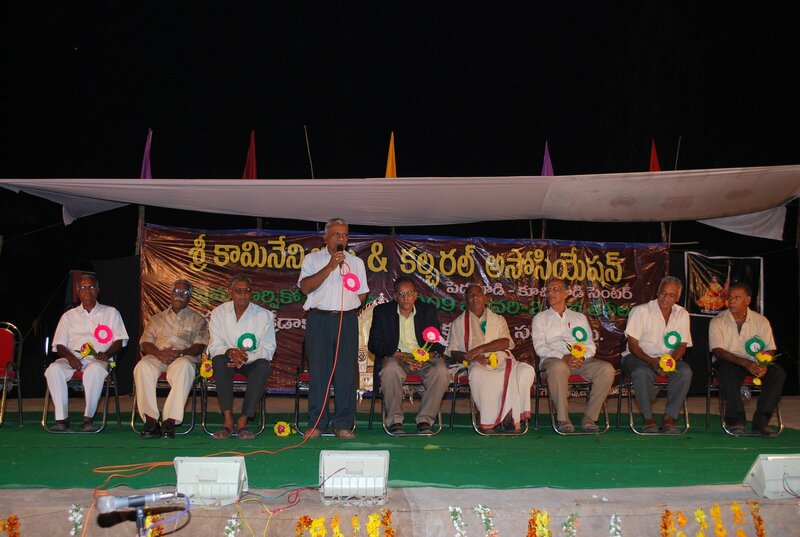 Sri Kamineni Gym is conducting one or two programmes every year. 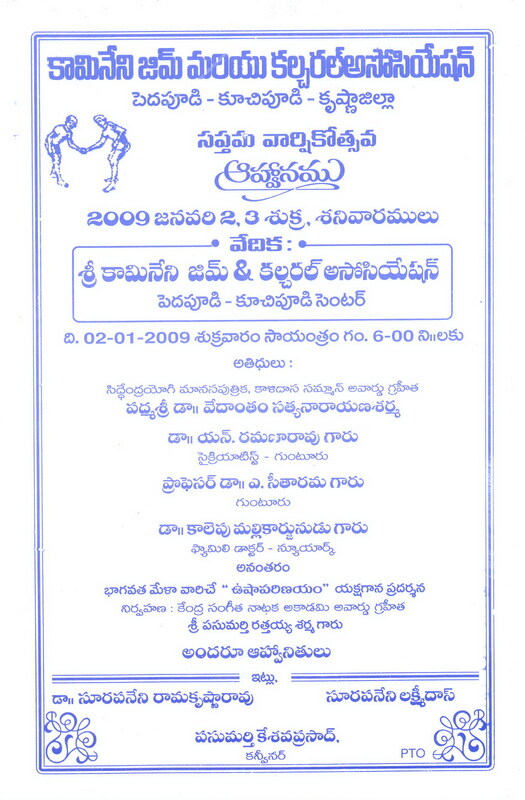 Sri Kamineni Gym & Cultural Association, Kuchipudi celebrated its Anniversary on 02nd & 03rd January 2009. ‘Pedasanagallu News’ welcomes you to visit this Blog for a knowledge on Pedasanagallu. 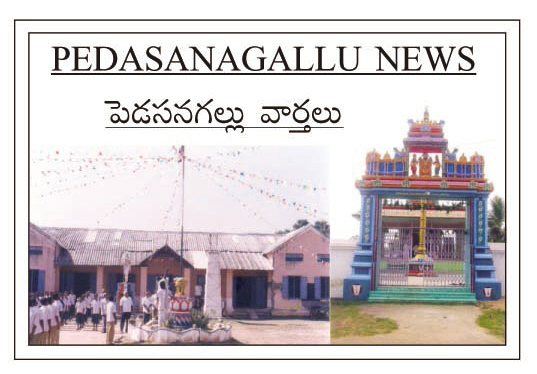 Pedasanagallu is a Village situated in Movva Mandal of Krishna District in the State of Andhra Pradesh, India. It is 2 km away from Kuchipudi, famous for Kuchipudi dance. This Blog is created by Krishnarao Surapaneni.